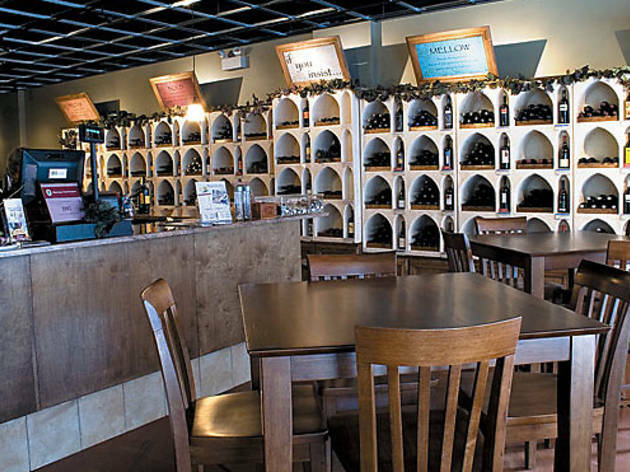 One neighborhood, four new wine shops. Is the South Loop the luckiest land in Chicago, or is it just getting trashed? Photograph: Shmura Campbell and Patrick Sablan 1. 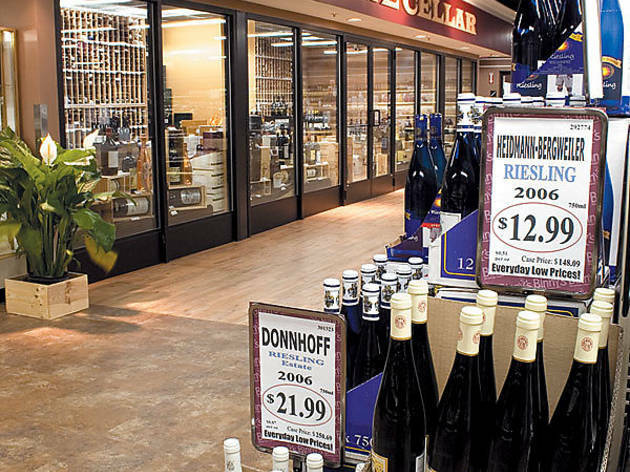 Binny&rsquo;sAs Chicago&rsquo;s self-proclaimed &ldquo;Biggest Wine Store,&rdquo; this place&rsquo;s sheer scope can be disorienting. First, you come across an enormous in-store bar. Next to that, the gourmet foods section, where they dish out slices of p&acirc;t&eacute;, piles of marinated olives and cut-to-order cheese. After that: the mixers, the beer and the spirits, all arranged in aisles that seem to go on for miles. And then, finally, there&rsquo;s the wine. We couldn&rsquo;t imagine not finding what we wanted in this place. But when we looked for the Haut-Brion, we didn&rsquo;t see any on the shelf. We should have known better: A wine consultant led us into a locked, temperature-controlled, walk-in wine cellar. &ldquo;Chateau Haut-Brion?&rdquo; he said. &ldquo;We&rsquo;ve got the &rsquo;90, the 2000, the &rsquo;03&hellip;which one do you want?&rdquo; 1132 S Jefferson St (312-768-4400). Photograph: Shmura Campbell and Patrick Sablan 2. Sam&rsquo;sIt&rsquo;s hard not to compare this outpost of Sam&rsquo;s to its archrival, Binny&rsquo;s, down the street. But refrain if you can, because doing so doesn&rsquo;t work in Sam&rsquo;s favor. 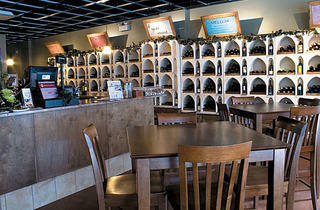 Compared to Binny&rsquo;s, the wine bar at Sam&rsquo;s looks skimpy. And even though Sam&rsquo;s has two floors of inventory, it still doesn&rsquo;t appear to match Binny&rsquo;s surplus. Not seeing any of our special request on the shelf, we asked if perhaps it was in the &ldquo;Fine Wine Room.&rdquo; But no: Sam&rsquo;s had no Haut-Brion in the house. They also couldn&rsquo;t offer futures of the yet-to-be-released &rsquo;06. And though the staff was apologetic and helpful, recommending a couple of auction houses to try, that didn&rsquo;t change the fact that we had just left one of Chicago&rsquo;s stalwart wine retailers empty handed. 50 E Roosevelt Rd (312-663-9463). Photograph: Shmura Campbell and Patrick Sablan 3. WineStylesThe latest outpost of the country&rsquo;s most prominent wine-store chain, WineStyles&rsquo;s South Loop store is not unlike Boystown&rsquo;s Kafka Wine. 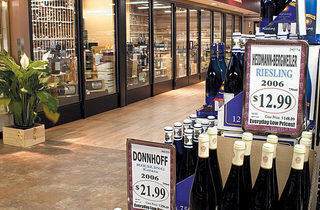 Wines are arranged according to flavor profile&mdash;Rich, Bubbly, Silky, Crisp&mdash;and are generally under $25. 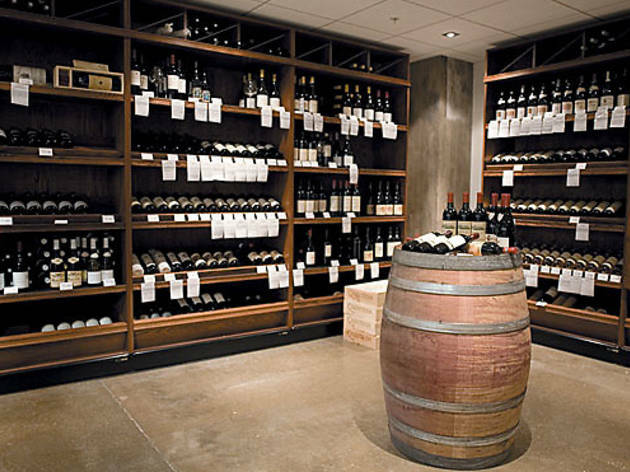 It&rsquo;s a setup that favors beginners more than anybody else: Most WineStyles stores have identical inventories, which means that much of the wine here is produced on a large scale. That&rsquo;s not a bad thing, but aficionados looking for a rare and interesting quaff will walk away disappointed. There is a high-end shelf (called &ldquo;If you insist...&rdquo;), but it caps out at around $65; in other words, there&rsquo;s no Haut-Brion here. And when we asked, our enthusiastic saleswoman didn&rsquo;t seem familiar with it. &ldquo;We don&rsquo;t carry that,&rdquo; she said. 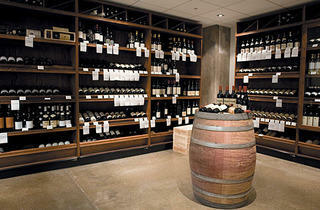 &ldquo;We focus more on esoteric wines.&rdquo; 1240 S Michigan Ave (312-431-9999). Photograph: Shmura Campbell and Patrick Sablan 4. 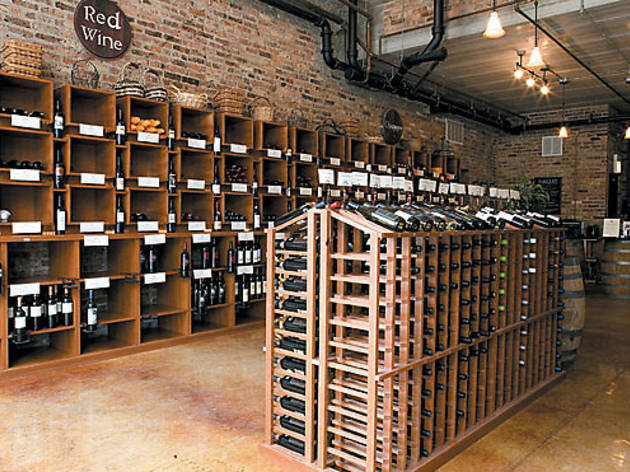 South Loop Wine CellarAmy Garman didn&rsquo;t miss a beat when we asked for the Haut-Brion. &ldquo;Yeaaaaah, we don&rsquo;t have that,&rdquo; she said. 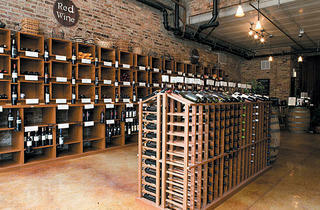 We weren&rsquo;t surprised&mdash;open just a few months now, South Loop Wine Cellar doesn&rsquo;t have a ton of inventory yet. But Garman clearly has spent quality time with the bottles she does have, and while she&rsquo;s anything but a show-off, there wasn&rsquo;t a question about a bottle in her store that she couldn&rsquo;t answer. We saw a bunch of bottles in here that we love and a bunch more that we&rsquo;d never heard of but were interested in. And then, as we checked out, we noticed that she keeps a pile of rr chocolats&rsquo; truffles near the register. Clearly, the woman has good taste. 1442 S Michigan Ave (312-356-0630). Not every ’hood can support four new wine stores within a mile radius, but apparently one bursting with condo-dwelling DINKs can. The South Loop has seen an influx of booze in the past six months, so we thought it was time to judge these newbies. We visited and took note of inventory, customer service and atmosphere. Then, just to see how far they’d go to help a customer, we kindly requested they perform a practically impossible task: Produce a bottle of 1972 Chateau Haut-Brion, a highly coveted—and terribly difficult to find—bottle of Bordeaux.